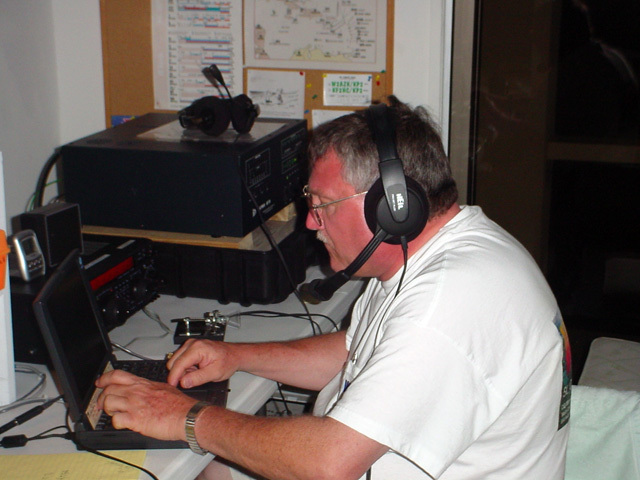 Here I am operating from WP2Z, Christiansted, St. Croix, US Virgin Islands. I will make the pic a bit smaller when I get tired of looking at it this size. Going to WP2Z was a great idea by Bill, N4ES. Thanks to the Flu and his QRP activity with one of Small Wonder Labs transceivers the day he was home sick. Bill worked WP2Z mainly because it was the loudest signal on the band. That was the beginning of our travels to WP2Z. The picture is from CQ WPX CW contest May 29-30 2004. You can go to QRZ.com to find out more information about N4ESS. Soon you will be able to check out some of the above listed pages for more information especially the WP2Z page. This page is being relocated from a now defunct company that left hundreds of web pages without a place to be. I will reconstruct this website a page at a time with updated information. Thank you for your patience as I get to work on this project. Keep stopping by as this page will continue to grow.